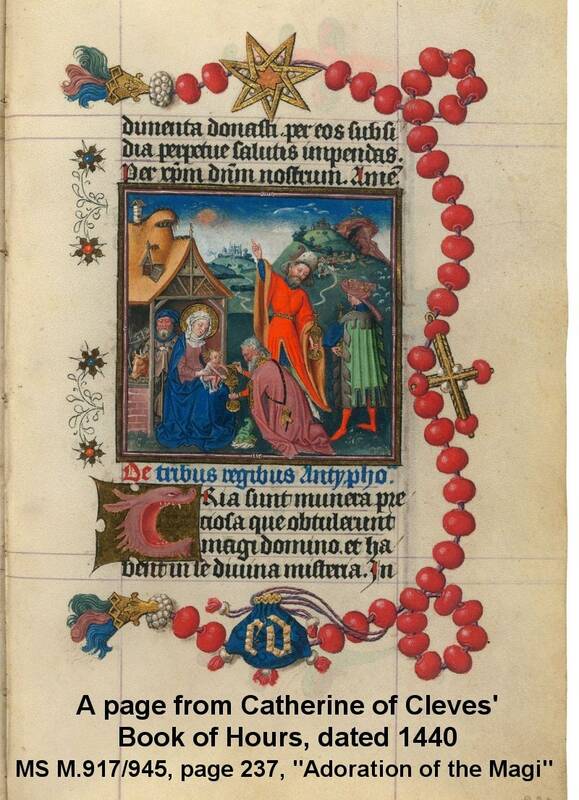 The cross was Inspired by the chaplet found in the margin of Catherine of Cleves' 15th c. Book of Hours (see last image). 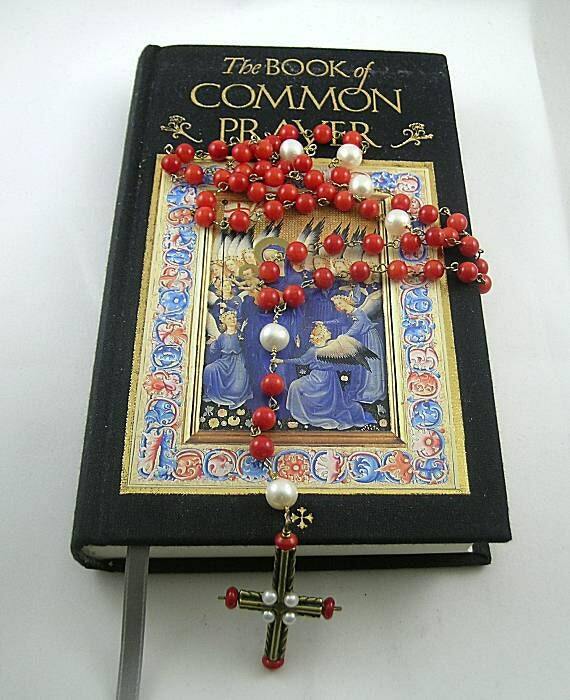 It is a handmade 45 x 30mm antique brass cross attached to handmade standard rosary. 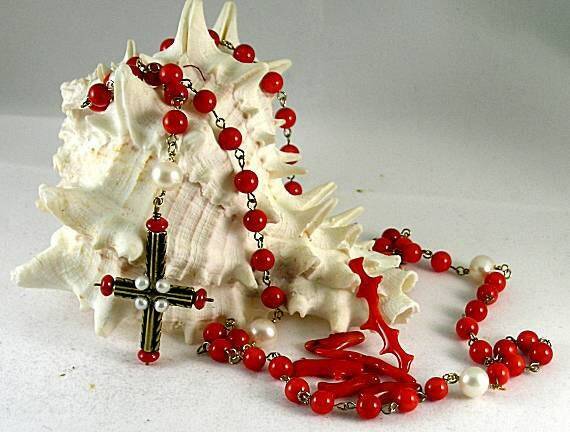 The rosary is made up of 5 decades of 6mm red bamboo coral beads separated by 10mm pearl paternosters. 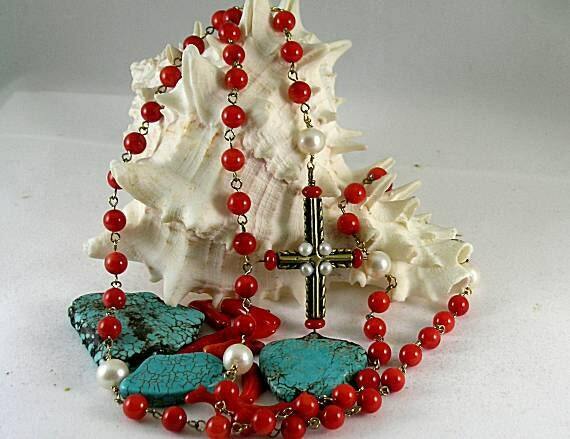 It has 3 coral pathway beads and another pearl before the cross. All beads are connected with bronze jewelry wire. 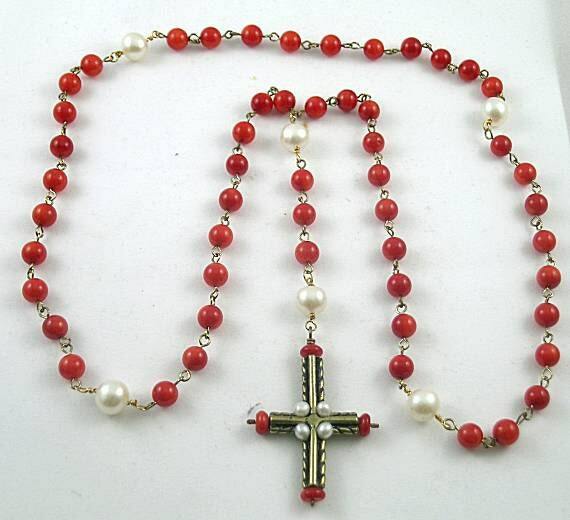 The rosary measures approx. 18" when folded in half. 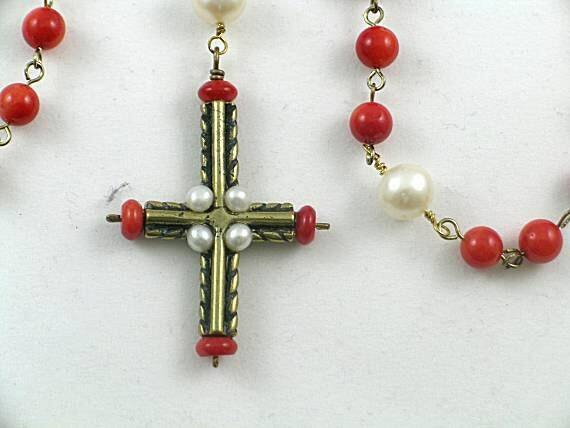 This handmade cross was a piece from an originally casting for a museum exhibit in the Netherlands where our version of the Catherine of Cleves Chaplet was on display. This is a Palace Gallery Exclusive! THE HOURS OF CATHERINE OF CLEVES is an ornately illuminated manuscript in the Gothic art style, produced in about 1440 by the anonymous Dutch artist known as the Master of Catherine of Cleves. The rosary is found on page 237 of MS M.917/945, titled "Adoration of the Magi." The manuscript is housed at the Morgan Library & Museum in New York, NY, USA. Shipped in a velveteen gift box or suede cloth bag, your choice. Latin Prayer Booklet available on request.